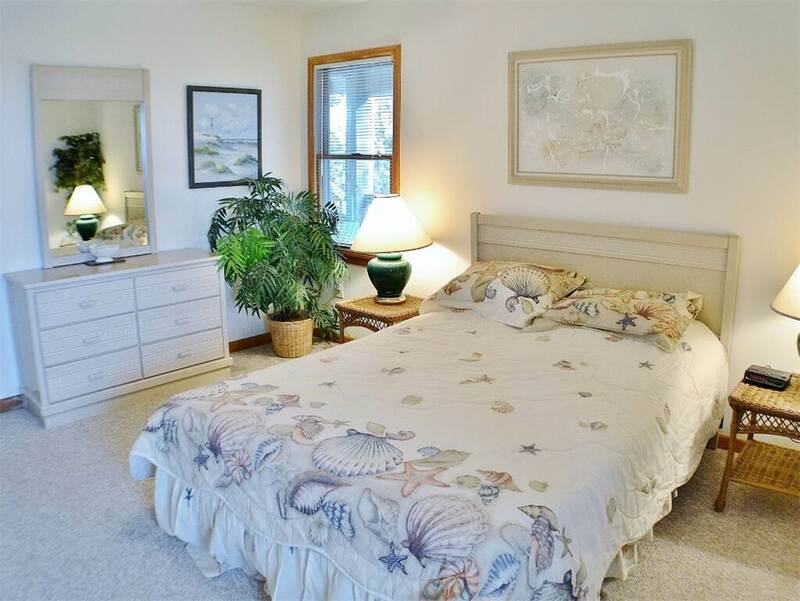 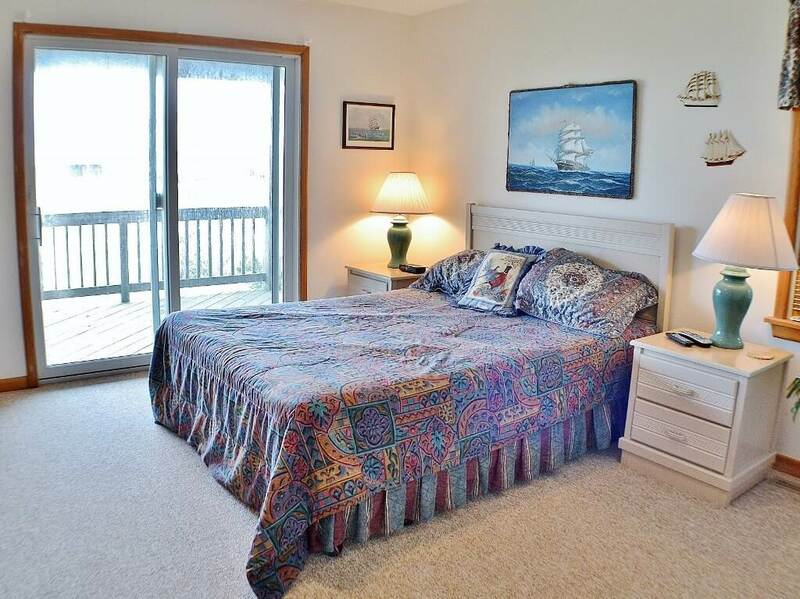 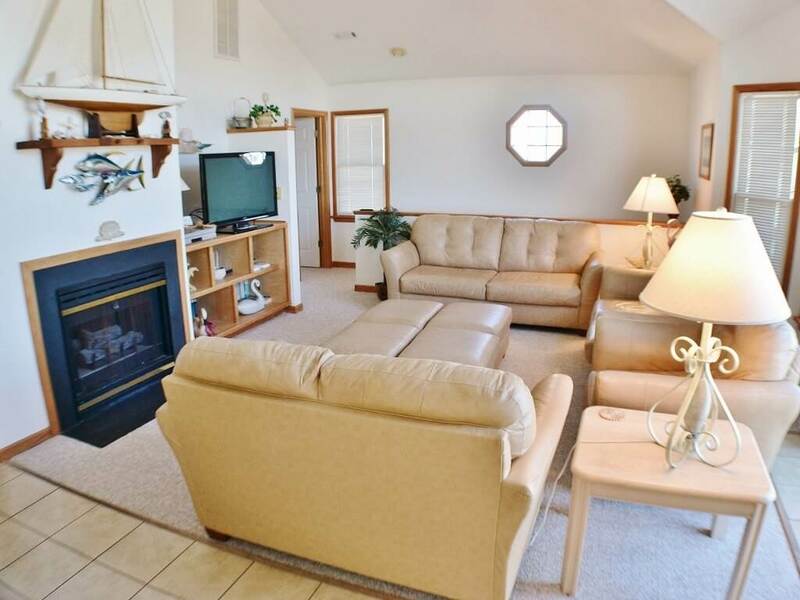 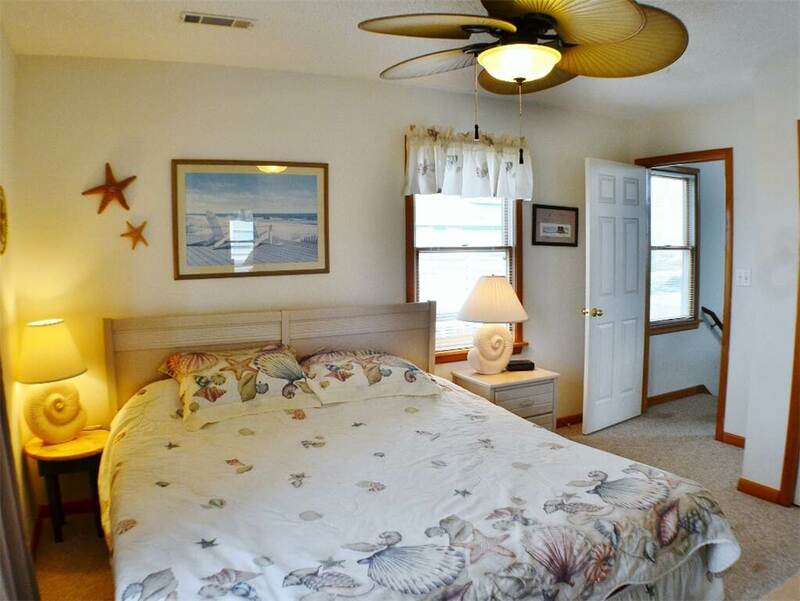 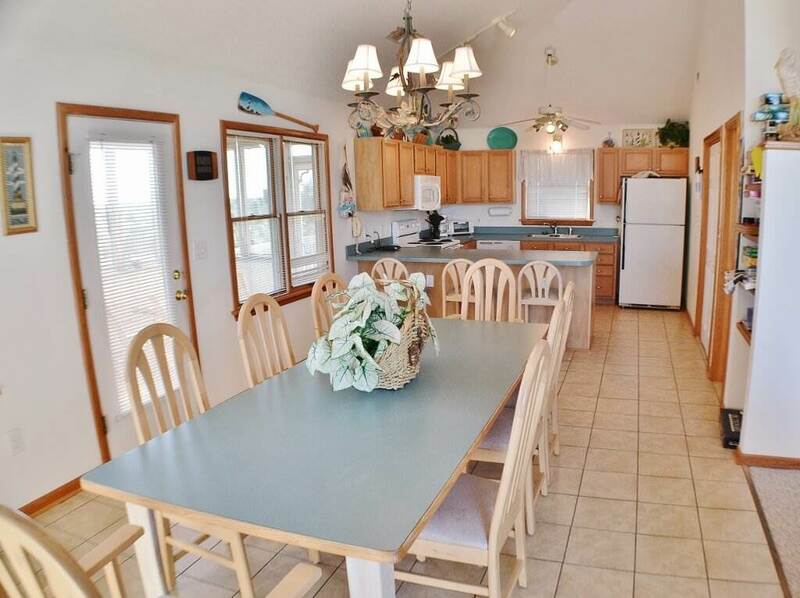 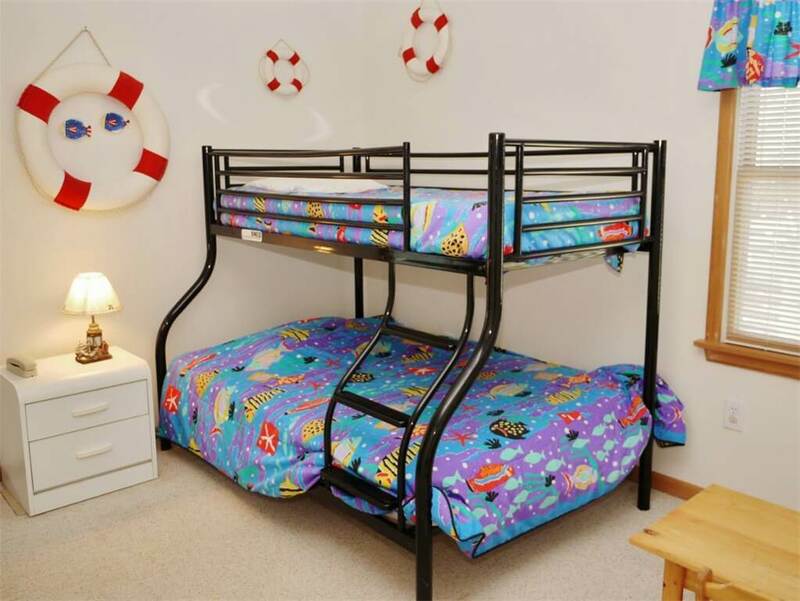 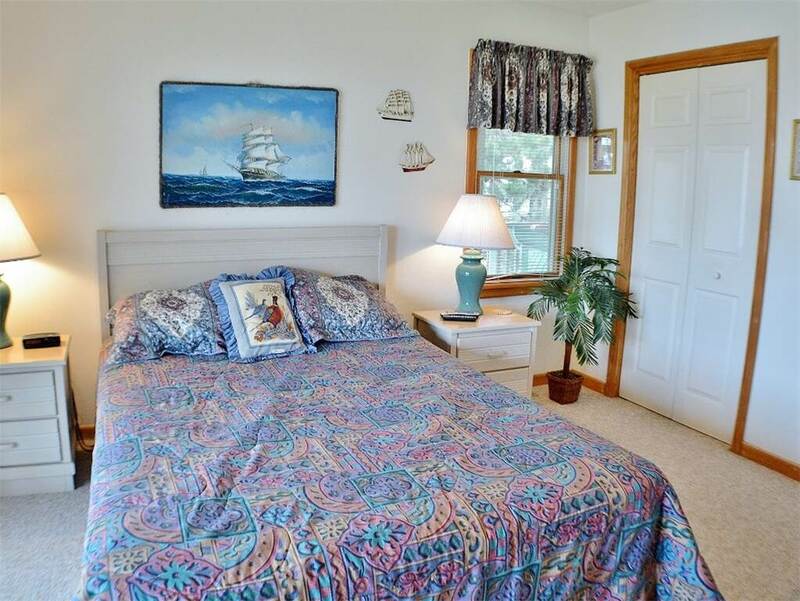 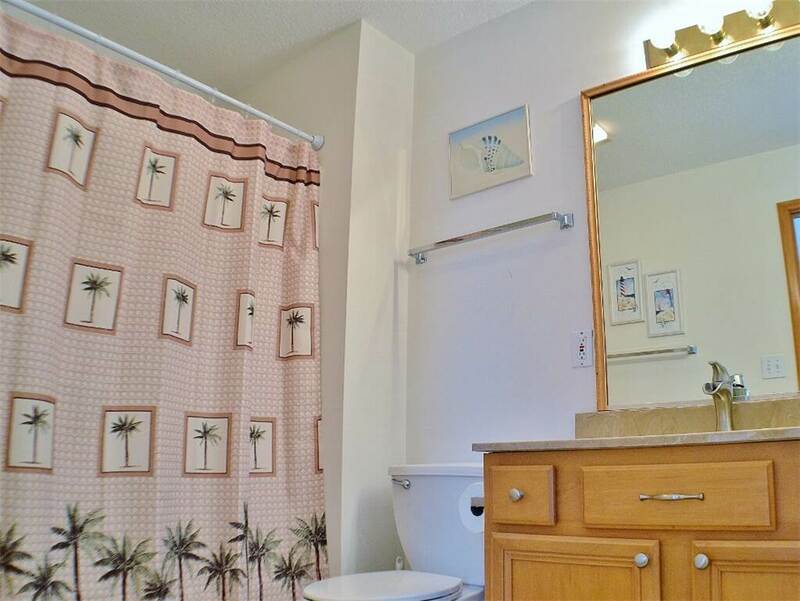 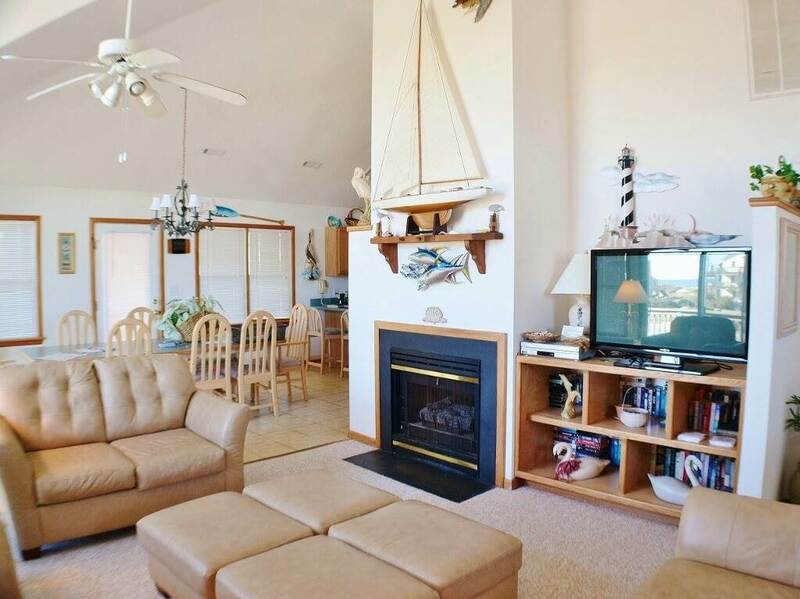 Decorated with lots of nautical decor for the Beach Lover, this is a true beach retreat! 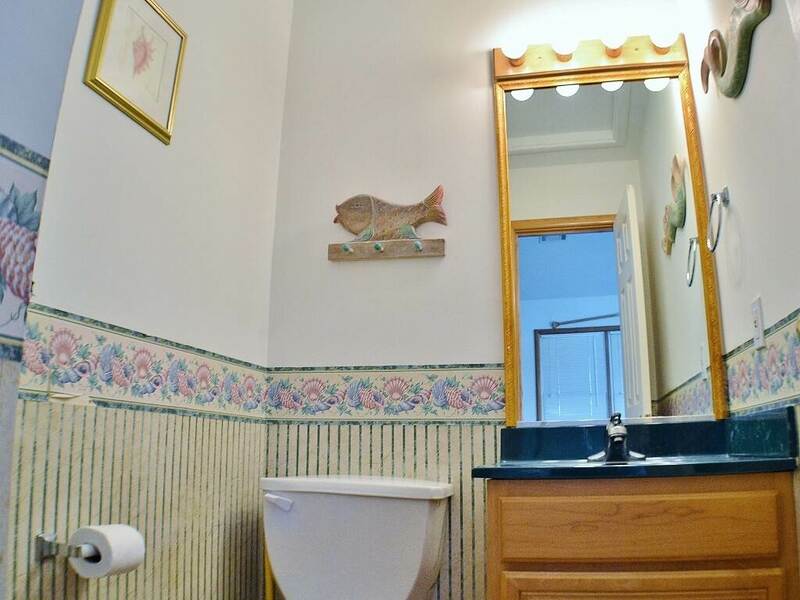 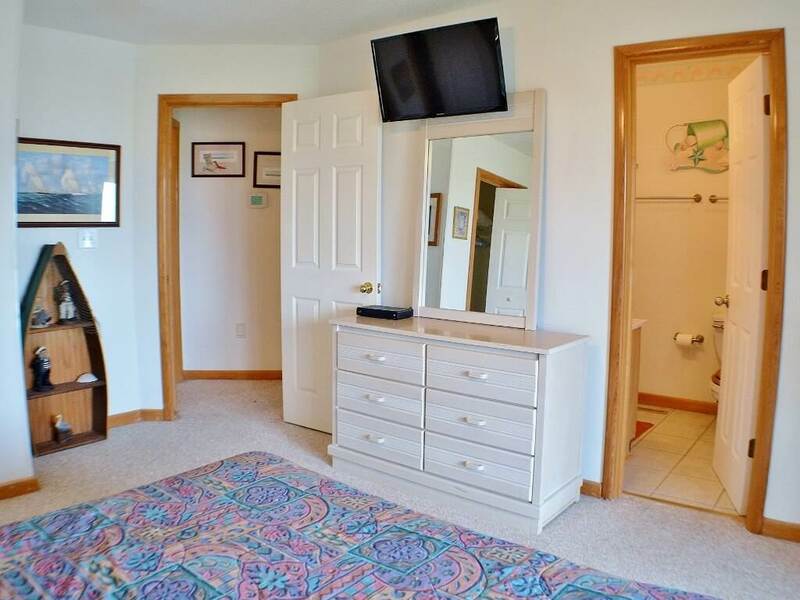 Enjoy your stay while swimming in your own private pool. 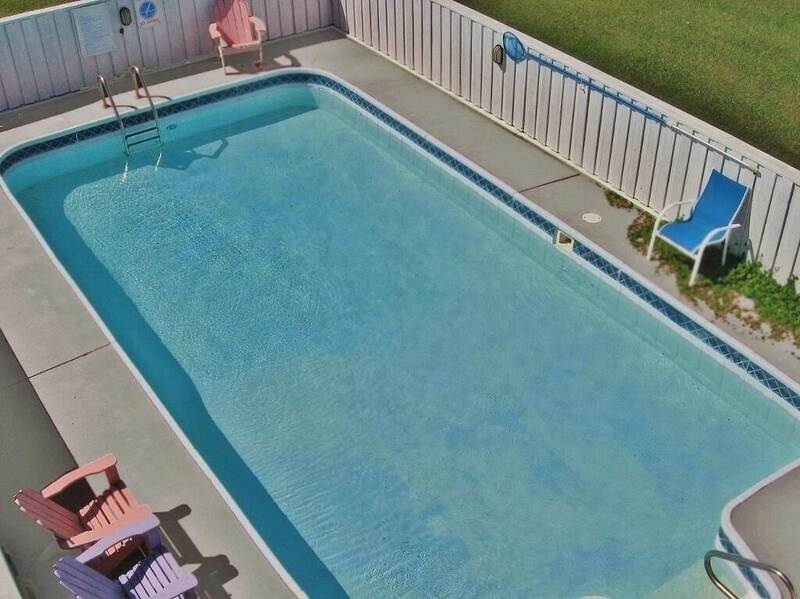 And there is even a community pool and tennis courts for those who desire. 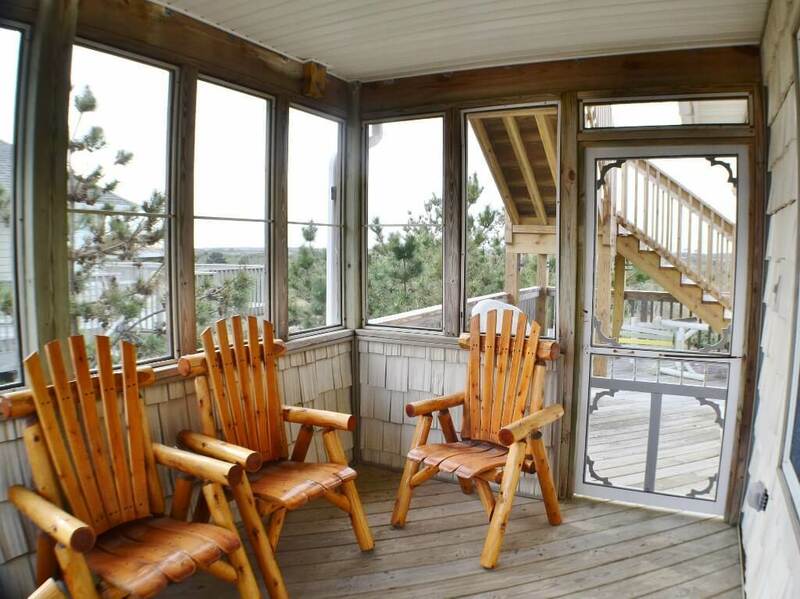 When you enter South Creek Acres, you've stepped away from the hassles of the modern world and into a realm where nature dominates. 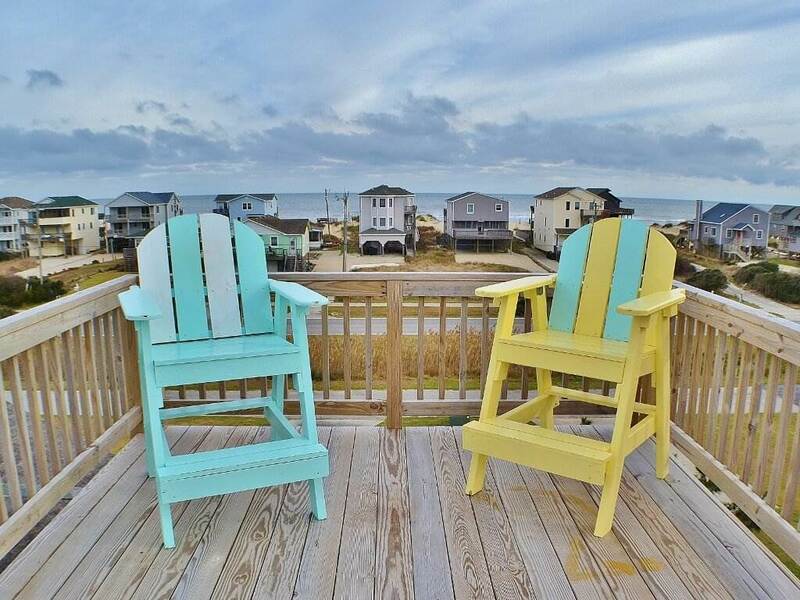 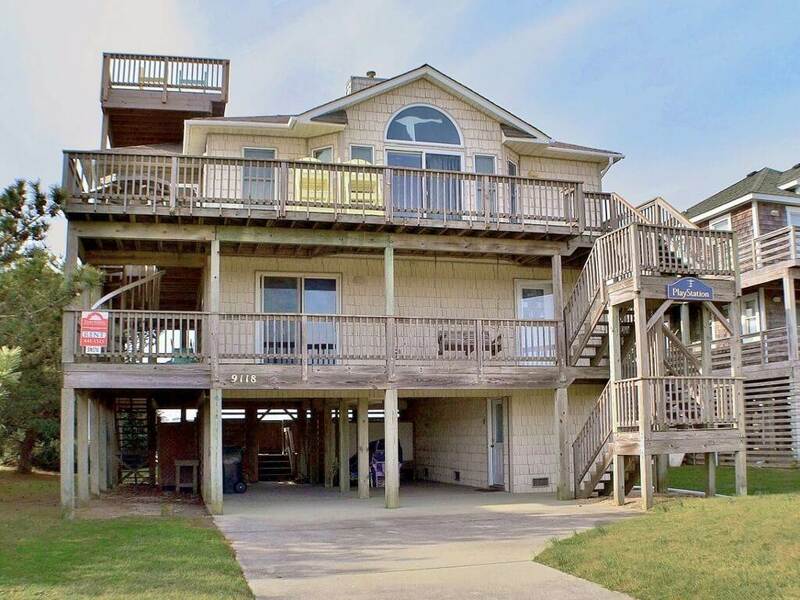 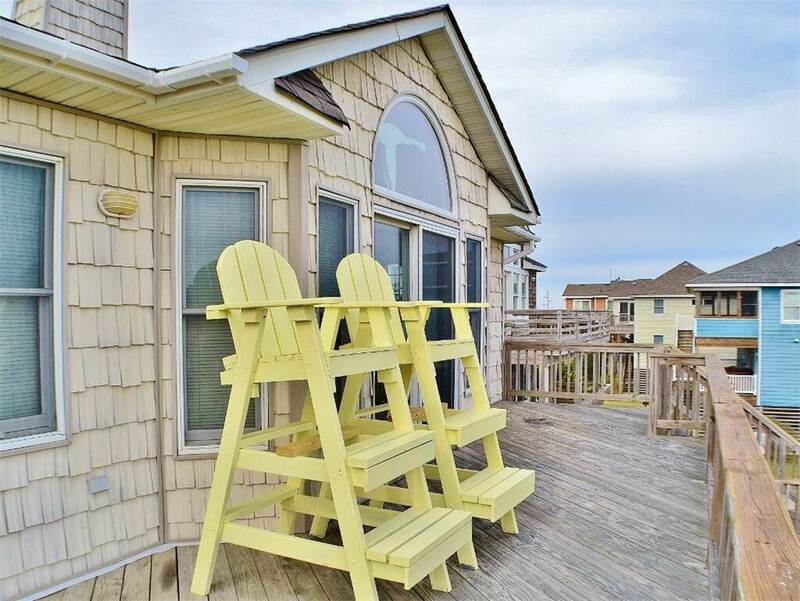 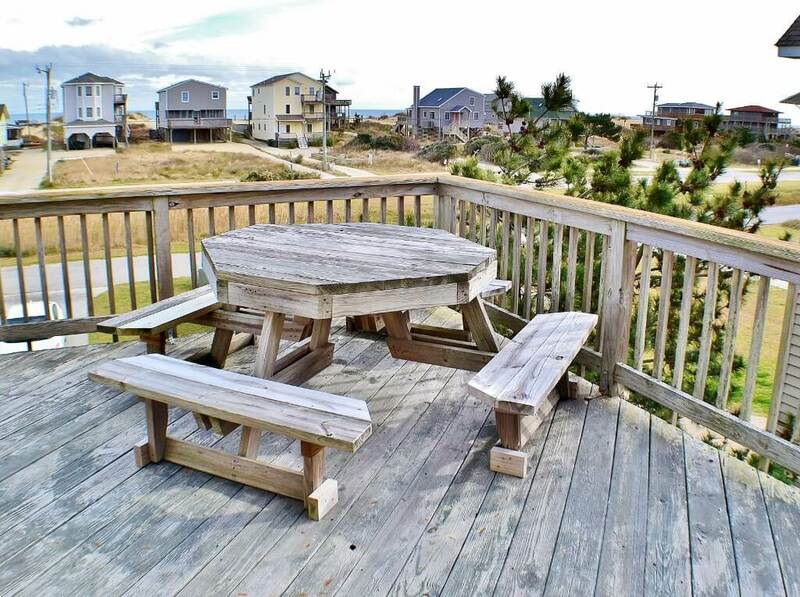 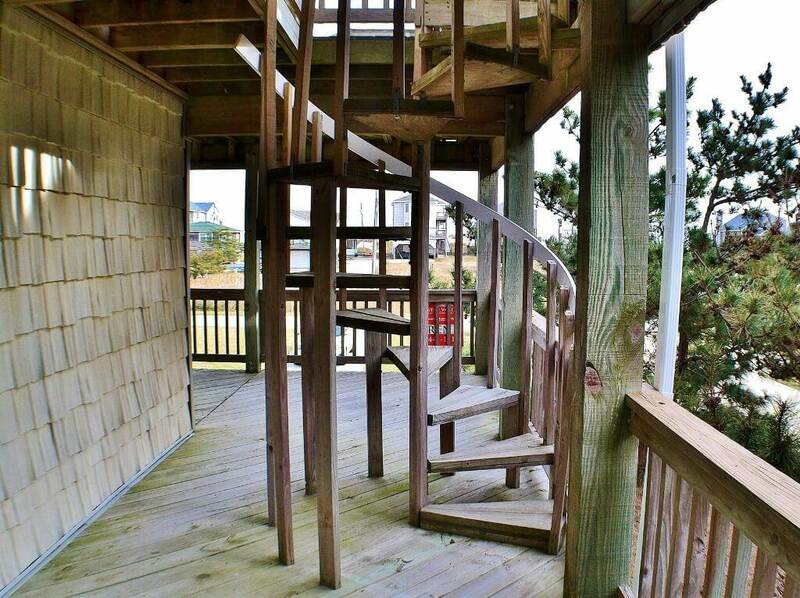 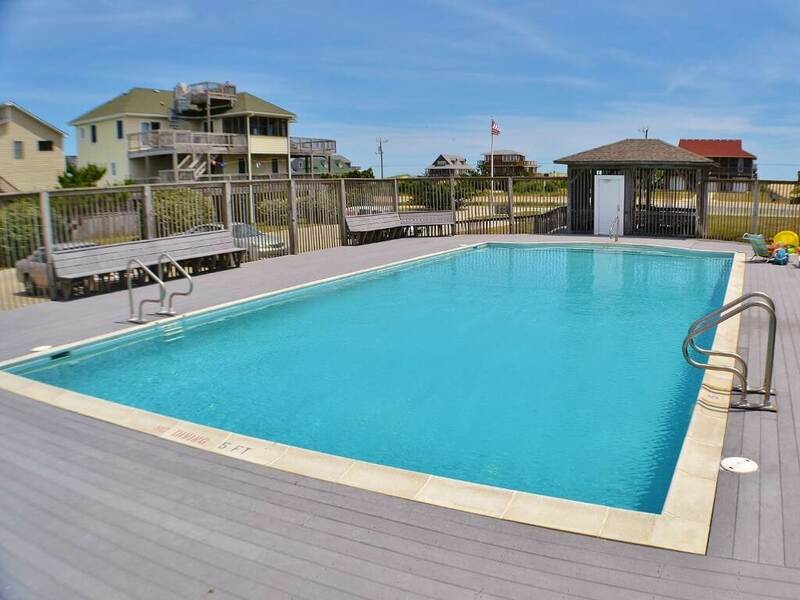 This private community located in South Nags Head is buffered by the breathtaking wilderness of the Cape Hatteras National Seashore Park on the west and the Atlantic Ocean on the east. 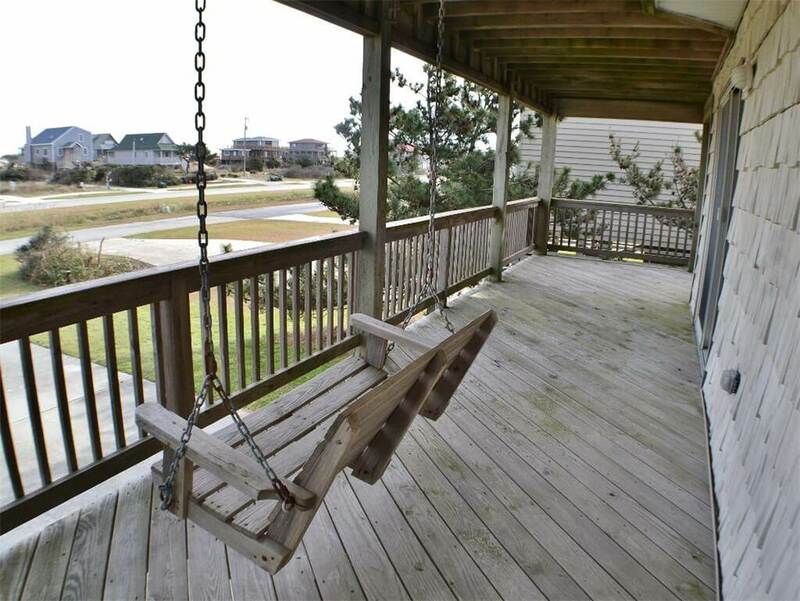 Each home site borders on land that is protected from development for eternity. 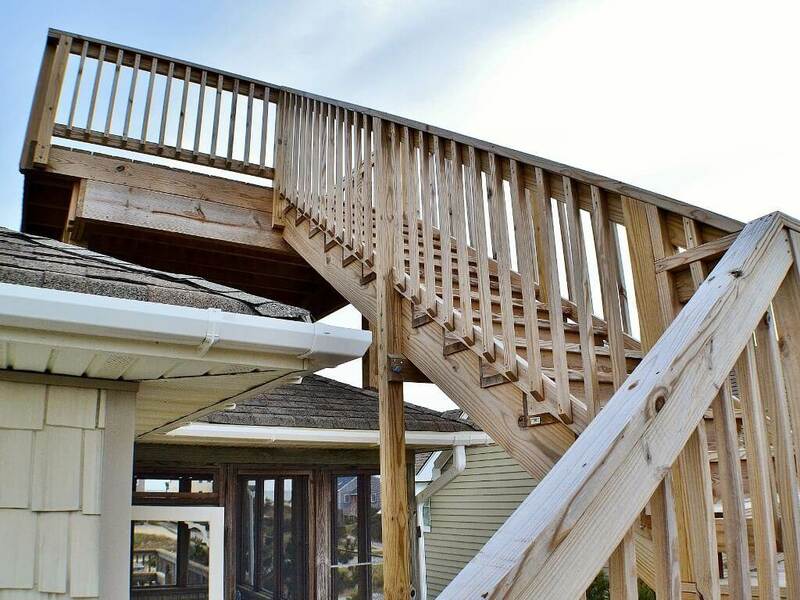 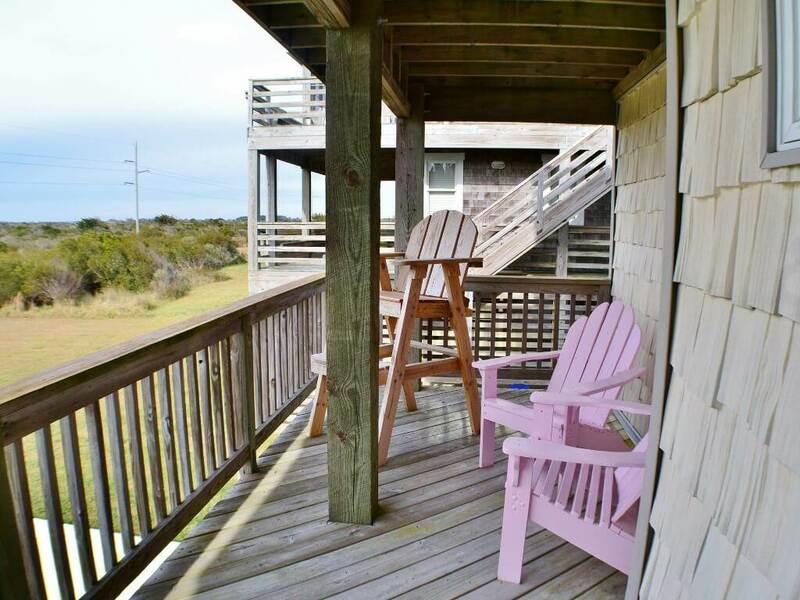 A roof-top sun deck added in 2015 provides gorgeous views of the surf, Bodie Island Lighthouse, sunrises, sunsets, birds, and other wildlife. 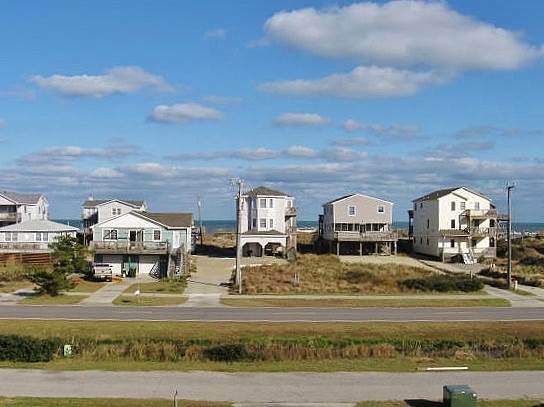 Perched above all neighboring houses, don't forget to bring your kite! 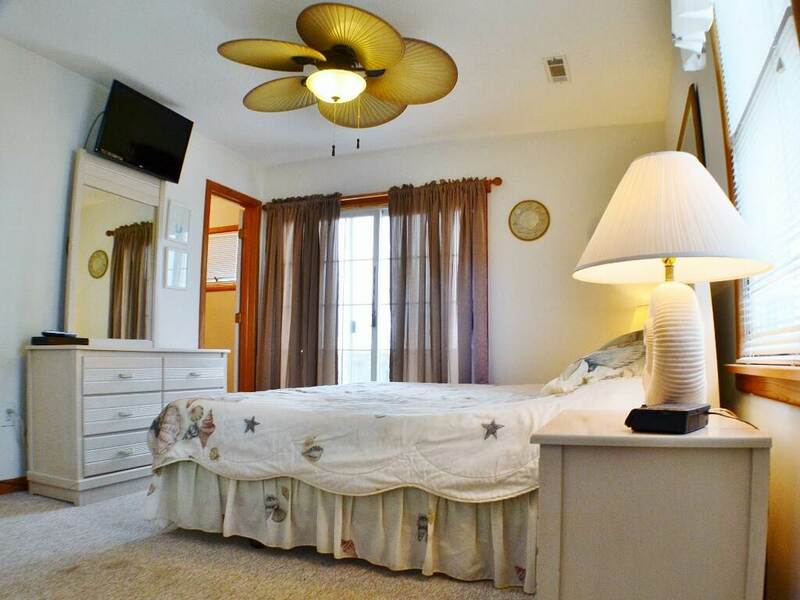 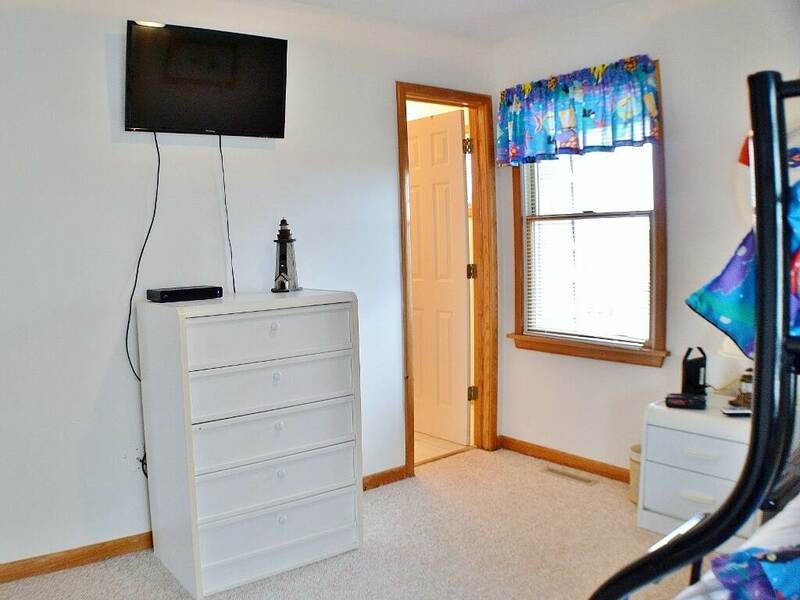 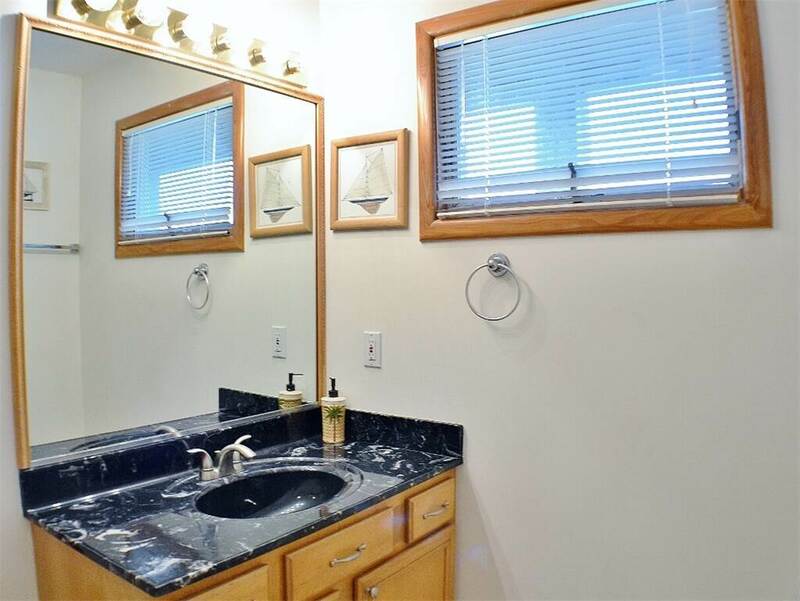 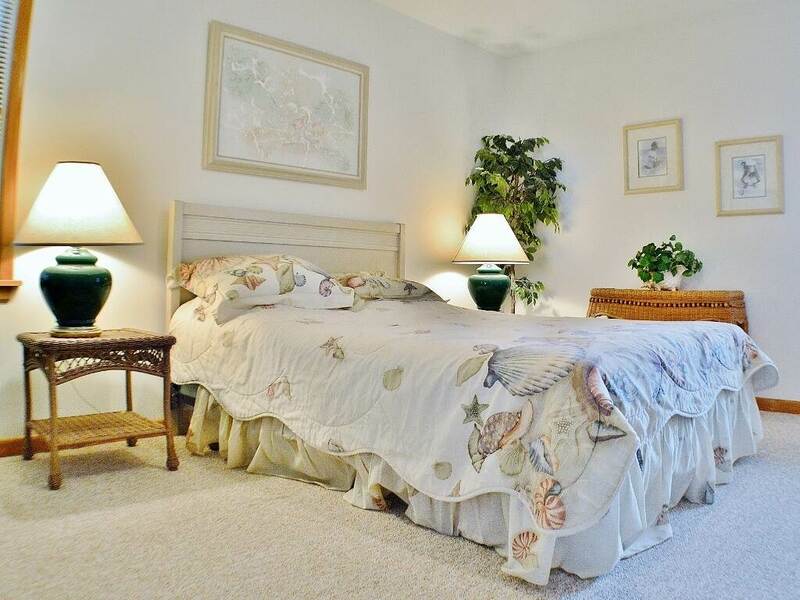 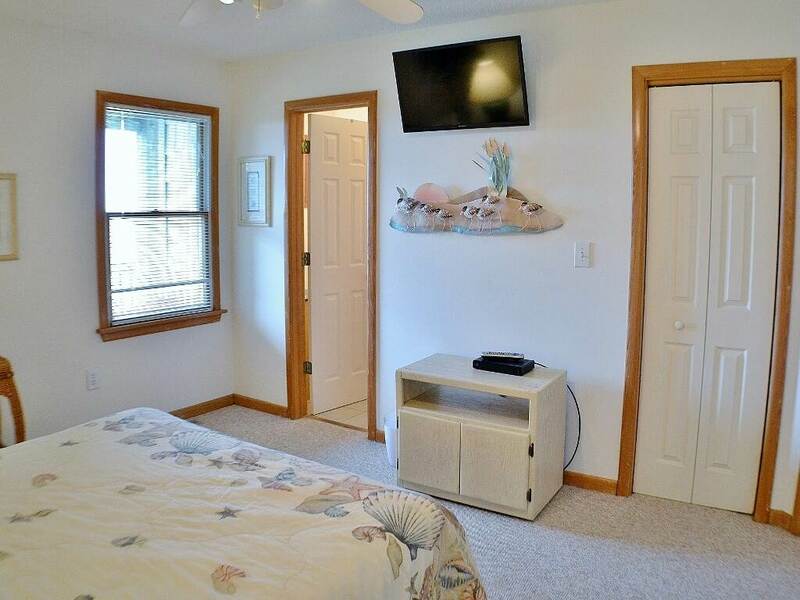 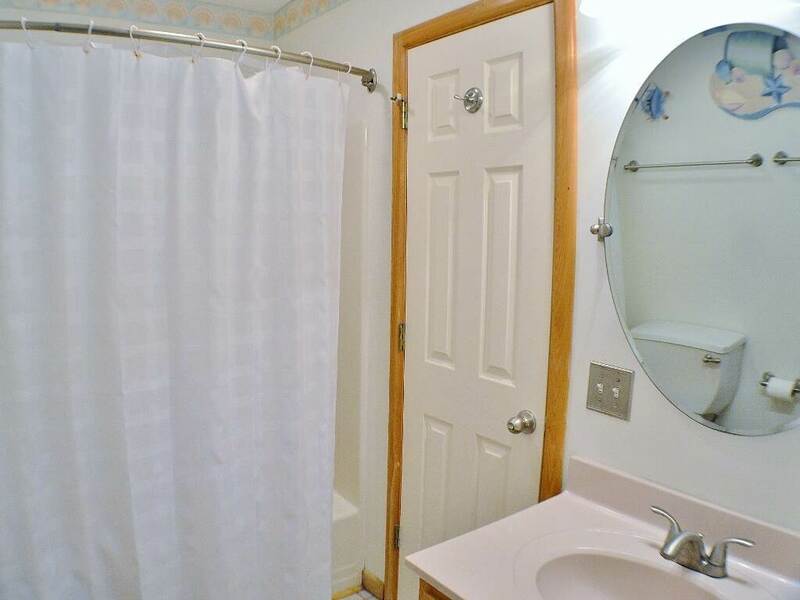 LEVEL 1: Den, Laundry Closet, Bedroom with Pyramid and Flat screen TV, Bedroom with Queen and Flat screen TV, Master Bedroom with Queen and 32" Flat screen TV, Full Bath, Multiple Access to Wrap-Around Deck. 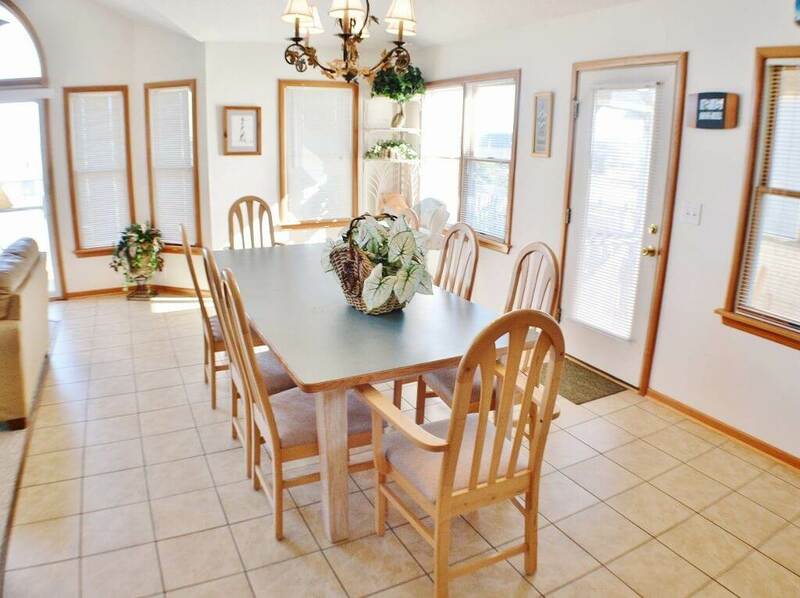 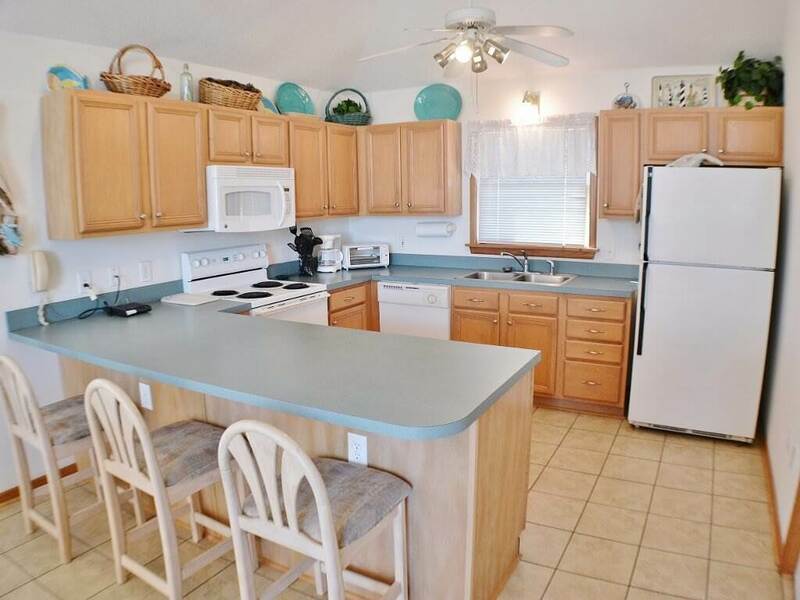 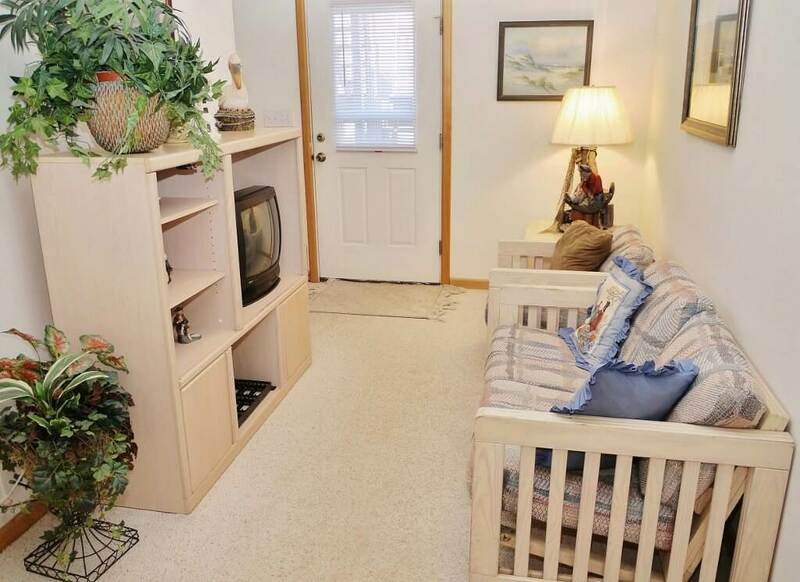 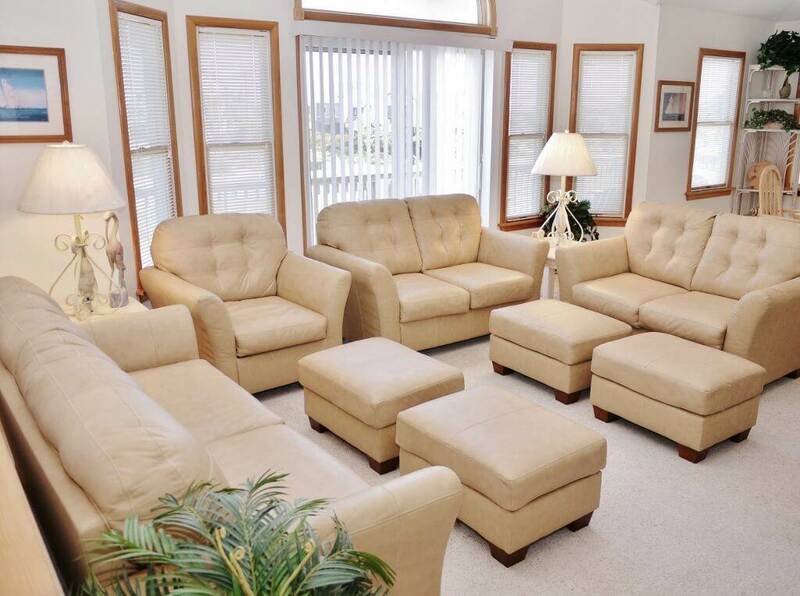 LEVEL 2: Living Room with 42" Flat screen TV, Kitchen, Dining Area, Master Bedroom with King and 32" Flat screen TV, Half Bath, Multiple Access to Wrap-Around Deck, Screened Porch, Picnic Table. 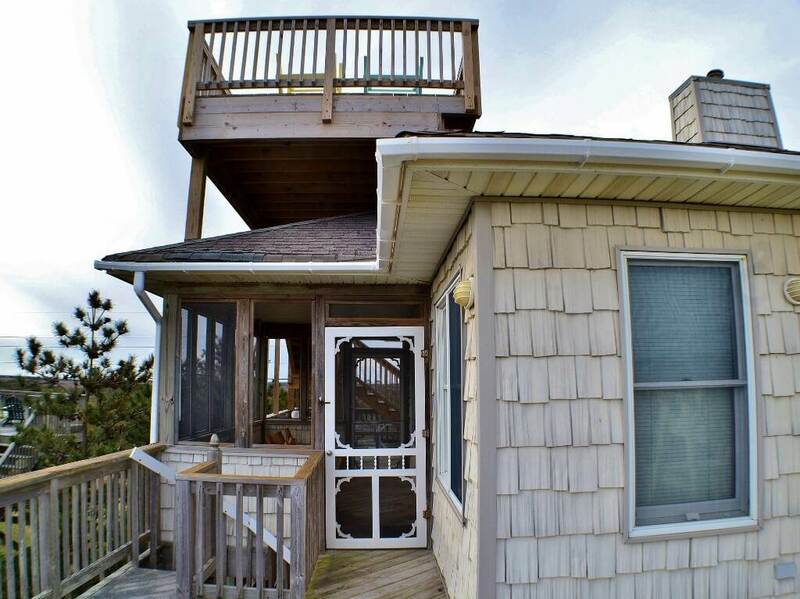 LEVEL 3: Roof-Top Sun Deck.